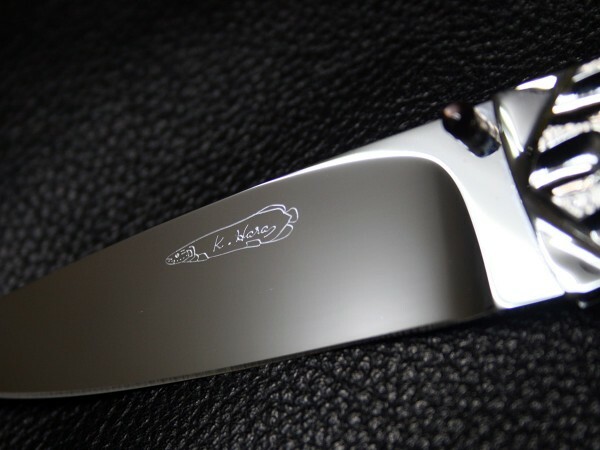 The liner-lock folder by Koji Hara. 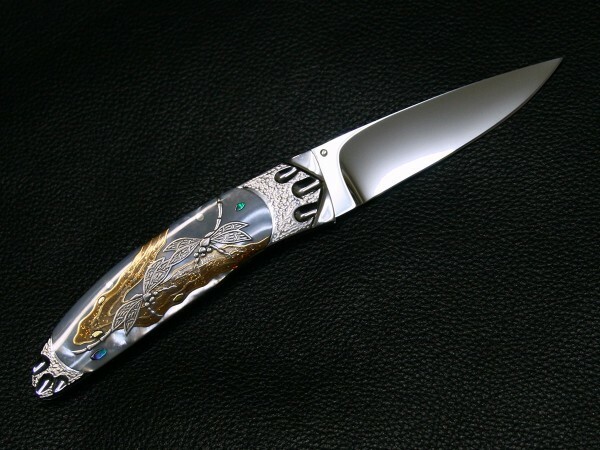 It features a mirror polished Cowry-Y steel drop point style blade and integral stainless steel with hand-dimpled and polished grooves with perfectly shaped and polished mother of pearl in the handle. 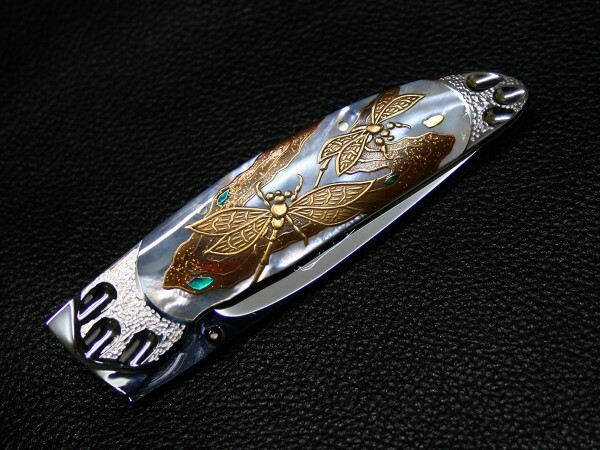 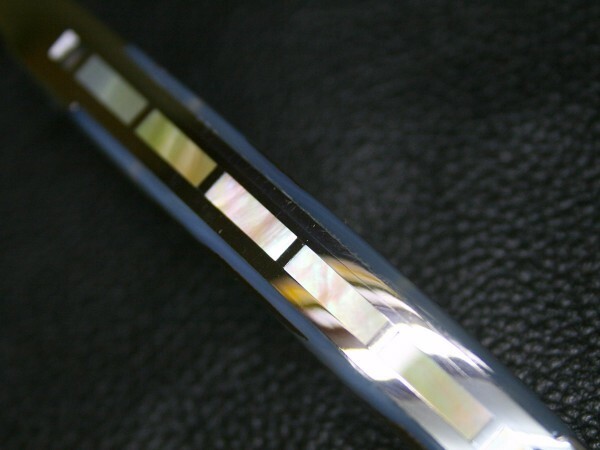 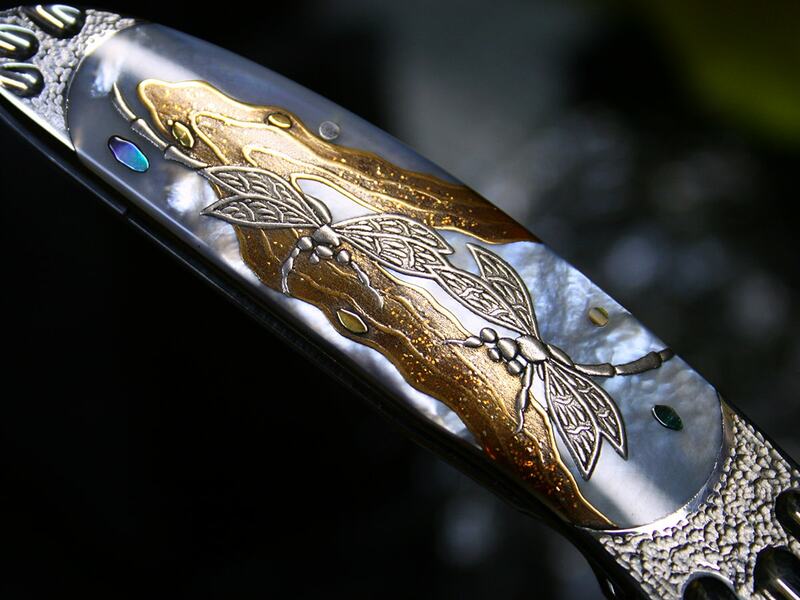 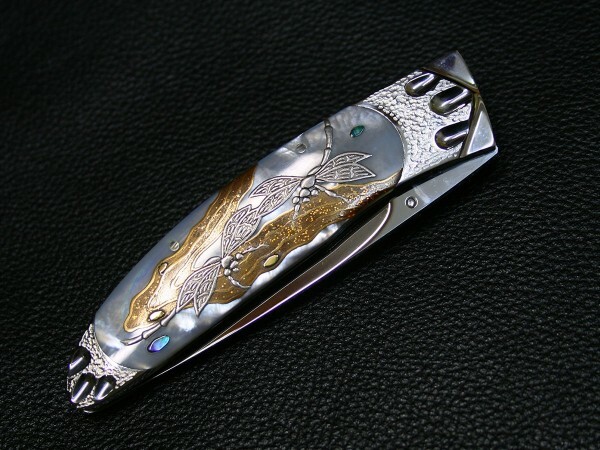 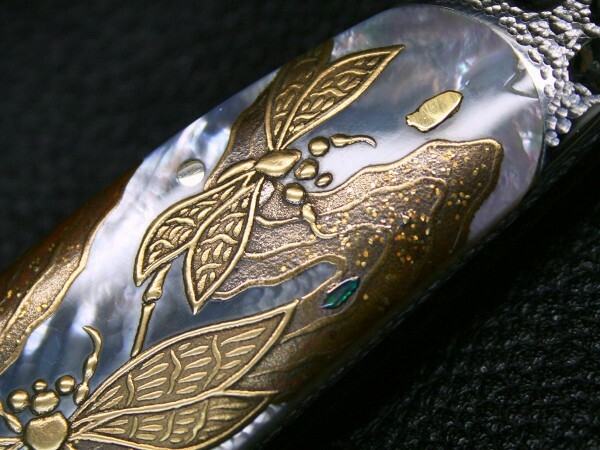 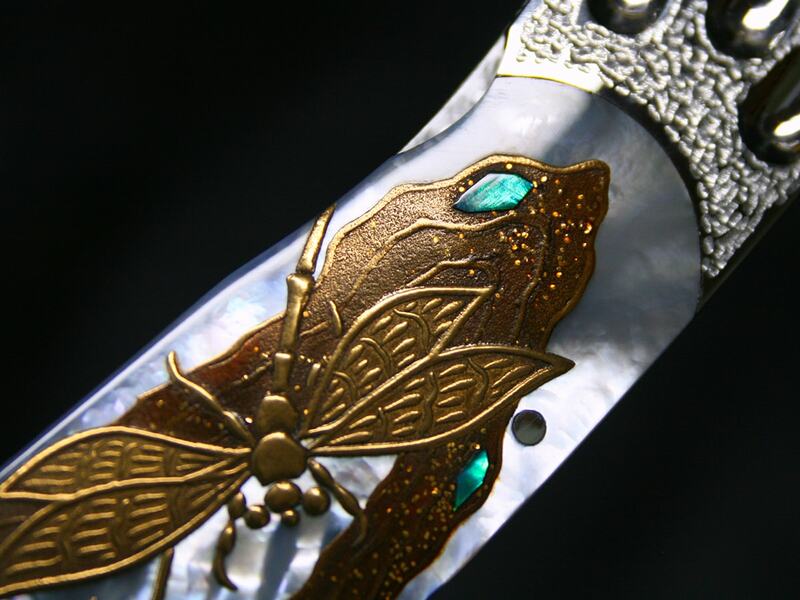 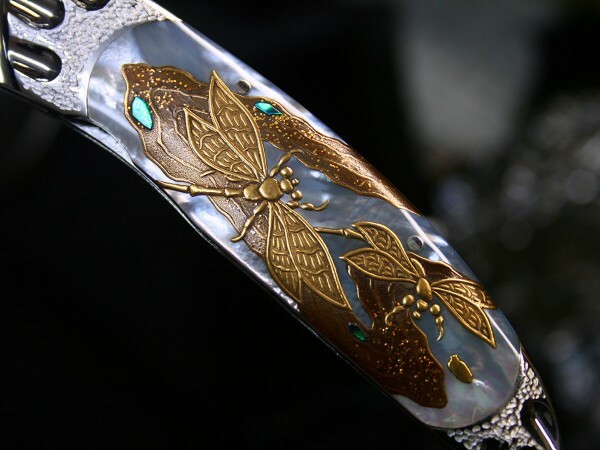 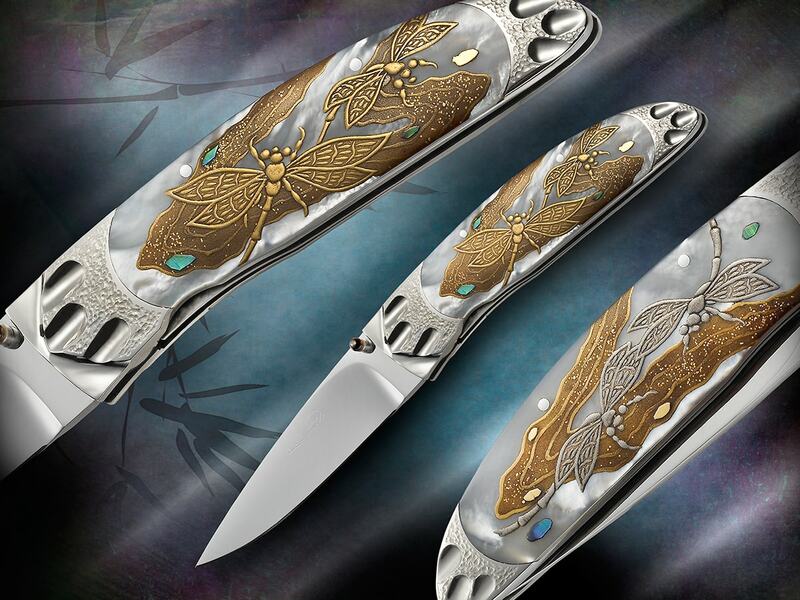 The TONBO (dragonfly) is drawn by Maki-e on the mother of pearl both side by traditional Japanese Maki-e artisan. 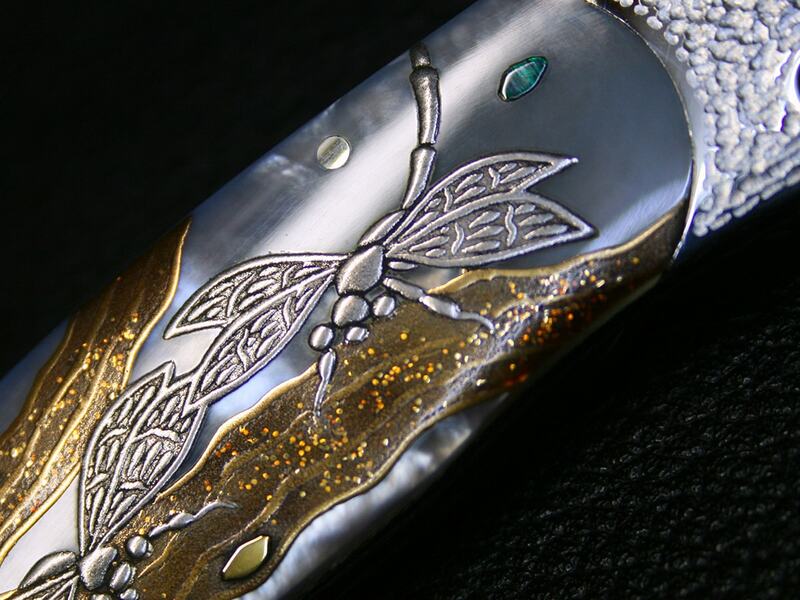 A dragonfly is drawn with pure gold on the front side and platinum on the reverse side. The spine of the handle spacer have black lip pearl in it. 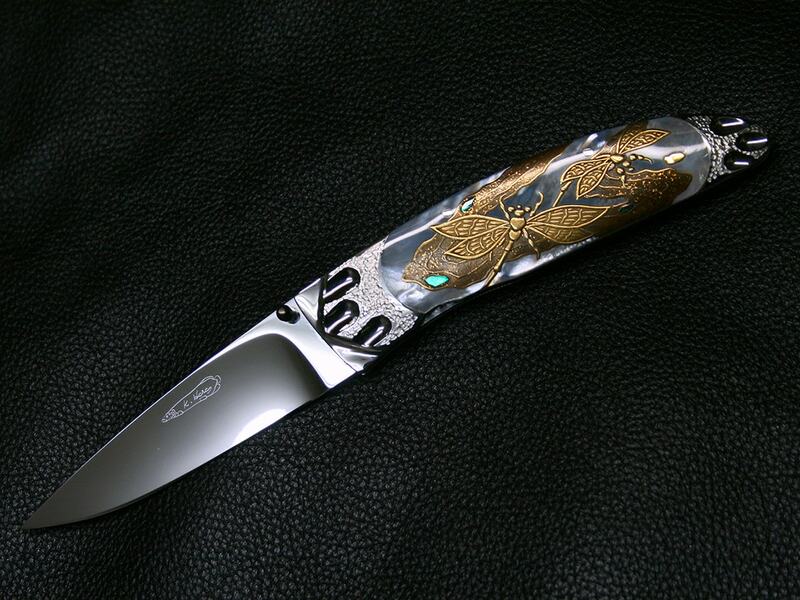 Comes with Kiri wooden box that keeps and displays the knife in open postion. 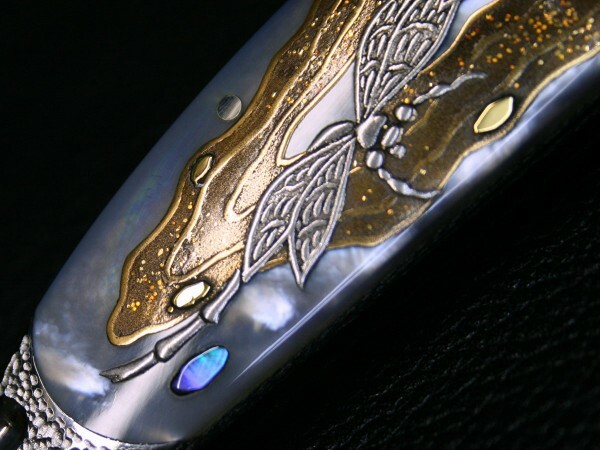 To create different colours and textures, maki-e artists use a variety of metal powders including gold, silver, copper, brass, lead, aluminum, platinum, and pewter, as well as their alloys. 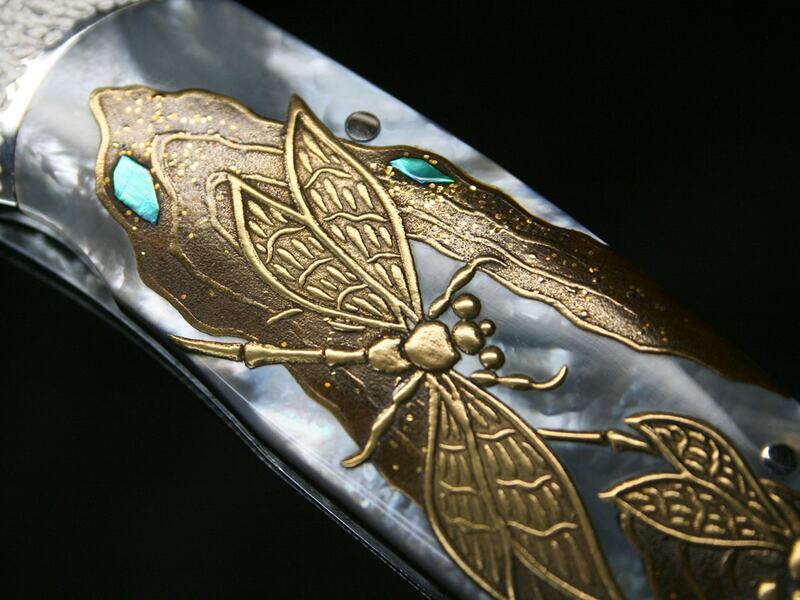 Bamboo tubes and soft brushes of various sizes are used for laying powders and drawing fine lines. 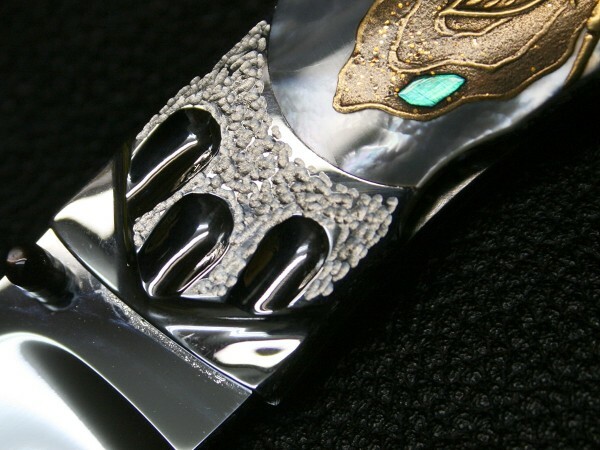 As it requires highly skilled craftsmanship to produce a maki-e painting, young artists usually go through many years of training to develop the skills and to ultimately become maki-e masters.